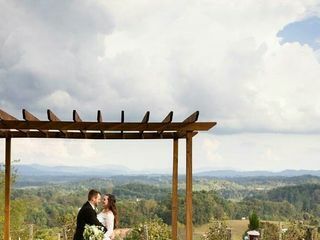 Longleaf Vineyard is a gorgeous wedding venue offering spectacular views of the Blue Ridge Mountains in North Carolina. Located just 25 minutes from downtown Asheville, this boutique vineyard is complete with panoramic mountain views and, of course, some truly delicious wine for you and your guests to enjoy. 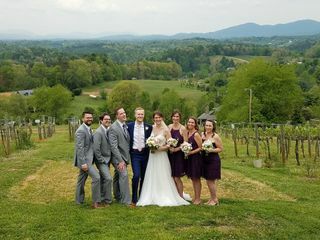 At Longleaf Vineyard you can enjoy their overlook ceremony location which offers scenic views of the Blue Ridge Mountains along with an elegant covered pavilion. The pavilion provides a rustic, yet sophisticated cover in the case of rain and can comfortably accommodate your wedding guests for cocktail hour or an intimate sit down dinner. Additionally, you and your guests can enjoy cocktails and appetizers on the tasting room patio with a stunning panoramic view of the mountains. 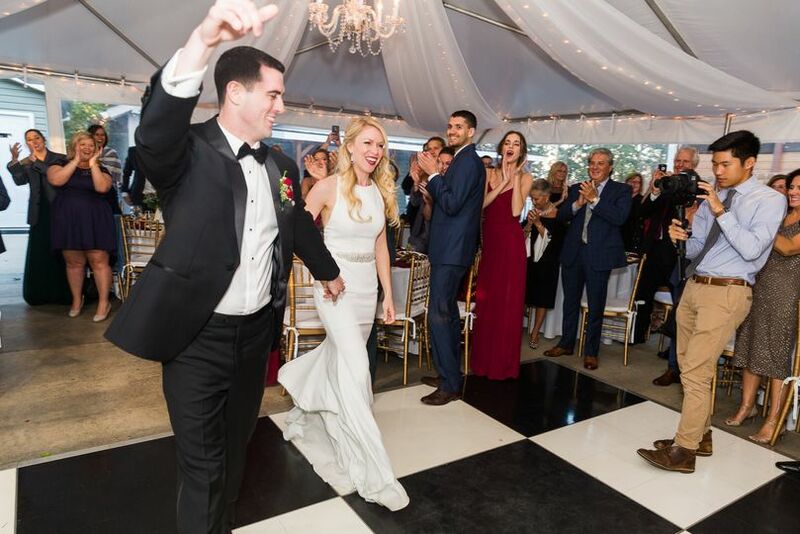 For your reception, you can enjoy mountain views while you dance the night away under the large white tent complete with romantic lighting that gives the space a truly formal feel. 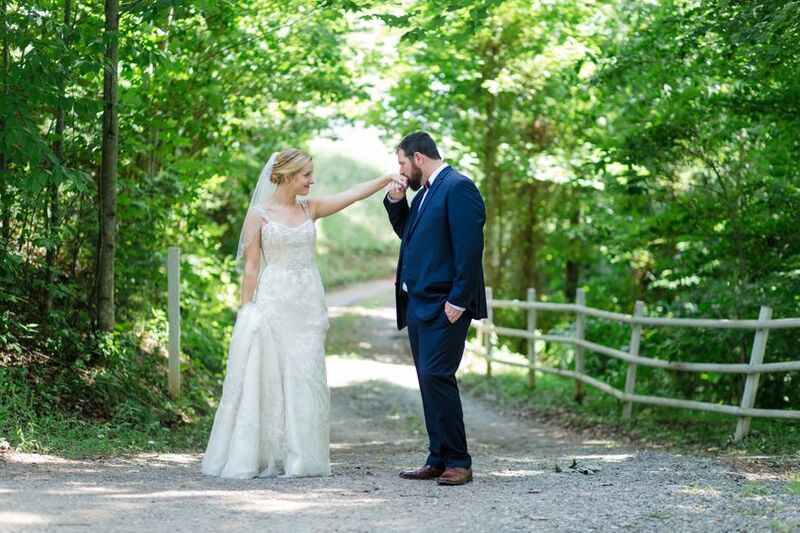 The ceremony location, which is just steps away from the vineyard, offers a cozy and intimate feel. The reception area has plenty of space for eating and dancing and can accommodate up to 150 guests. In addition to these event spaces, Longleaf Vineyard also has a bride’s cottage. The bride’s cottage is the perfect space to get ready for your big day, complete with rustic decor and a private restroom. 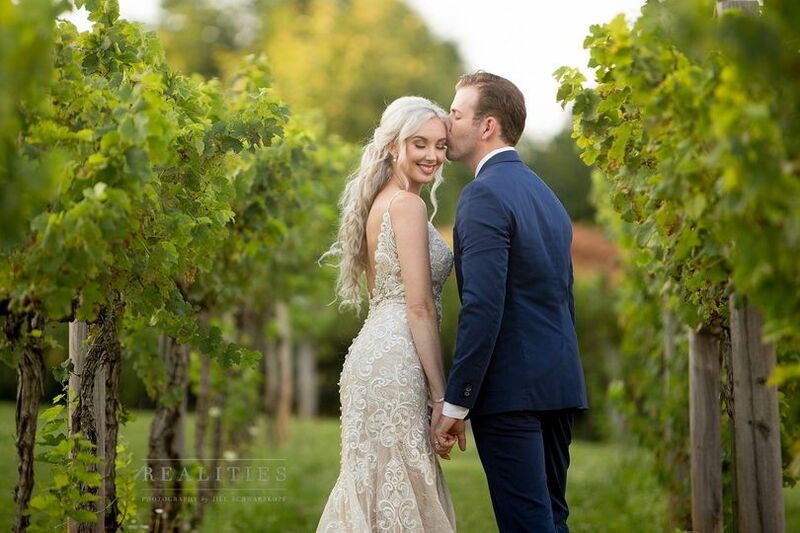 You and your guests can explore the entire vineyard, which also makes a lovely backdrop for wedding photos. Longleaf Vineyard offers all inclusive wedding packages to help make your big day run smoothly. 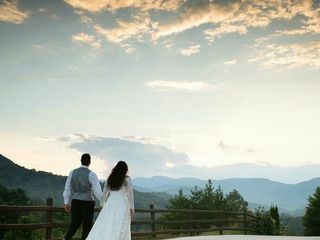 With a variety of package options, including the NC Mountain Elopement Package, which offers an intimate ceremony with you, your spouse-to-be, and eight of your closest family and friends. Longleaf Vineyard also offers delicious wine options, exclusive to Longleaf events! If I could rate Wendy and Longleaf Vineyard with 1000 stars I would! Wendy and her husband are the sweetest people I had the pleasure of working with during my 13 month engagement. Wendy is dedicated to her clients to make sure that the day is everything the bride and groom imagined and more. On my big day we somehow forgot to pick up the wedding cake. As the bride I was FREAKING out. Without hesitation, Wendy jumps in her car and goes to pick up our cake while our ceremony goes on without a hitch. 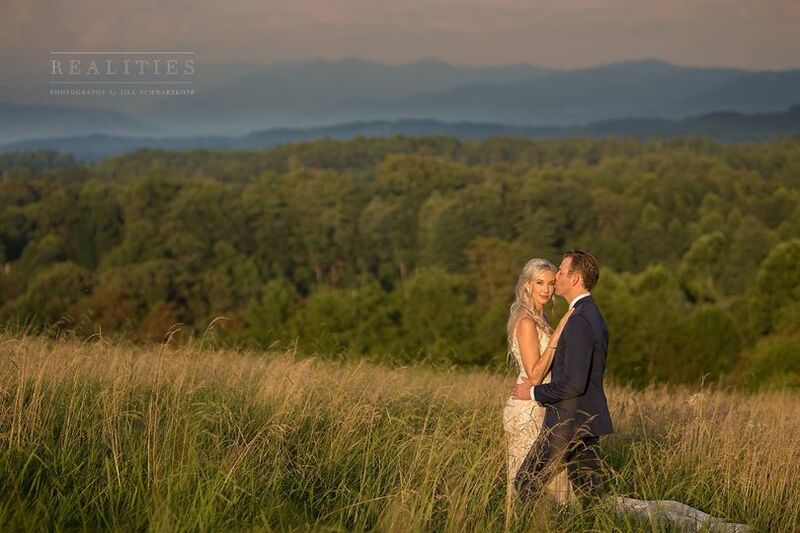 I highly recommend Longleaf Vineyards, the view and the owner's wonderful hospitality make that venue absolute perfection I wouldn't have had my wedding day any where else. INCREDIBLE in every aspect!!! Wendy, the owner used to be a wedding planner so she makes hosting your wedding super STRESS FREE, easy, and fun. 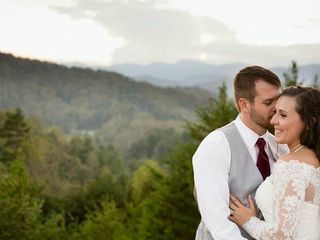 My wedding was June 2nd and the weather was perfect, the vines were beautifully green, and the mountain view was priceless. Multiple guests said it was "the best wedding they had ever been to". 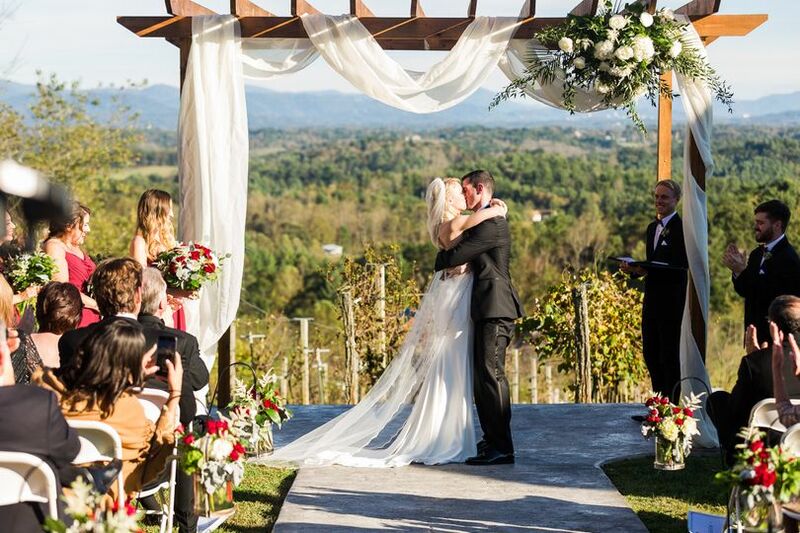 The pergola you give your vows under is beautiful with the vines and mountains in the backdrop, the pavilion provides a rustic cover incase it rains, and a large white tent with beautiful lighting guarantees a formal and sophisticated feel to an outdoor reception. Wendy and Brian did a wonderful job of making sure the property looks great for your wedding day. We are so lucky we found this gem just a 20 minute ride from downtown! I highly recommend this picture perfect venue to everyone! The venue is beyond gorgeous - you just can't beat that amazing mountain view! 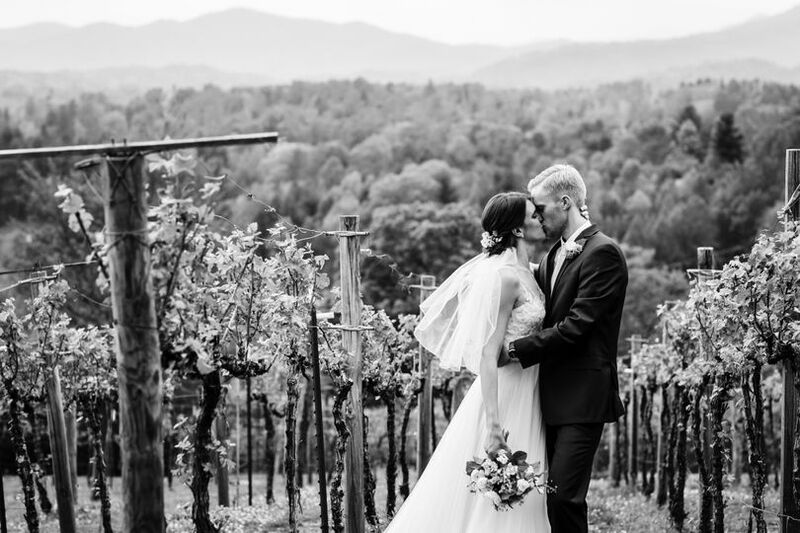 The layout was perfect for our 100-person wedding - from the ceremony space with incredible mountain and vineyard views, to the cocktail hour pavilion, to the new tent with chairs/tables included. All of our guests were raving about what a beautiful venue it was, and our pictures look incredible! We loved that it had a secluded feel, yet was still close in proximity to the Asheville area. Wendy was so helpful throughout the process, and has been working hard on renovations to make the vineyard look its best. We highly recommend Longleaf Vineyard to anyone looking to get married here. Thank you Wendy and Brian for hosting our perfect day! We can't wait to come back!